The Mexican American War -- why it started. Did the U.S. used subterfuge to create a war and thus seize territory? Or did Mexico cause the War by hostile actions that forced a U.S. response? Excerpts below give an outline of the issue, including the fact that Mexico declared war on the U.S. before the border dispute, as soon as Texas joined the U.S. It seems to be that the U.S. did not have to pursue hostilities with Mexico after securing the border. It is not as if the U.S. was threatened by an invasion. Henry Clay, Daniel Webster and Abraham Lincoln opposed the war. From the Brazoria County Museum (Texas) website. Fifteen years before the Civil War, the United States fought a war against Mexico that added a half million square miles of territory to the United States. The annexation of Texas in 1845 gaverise to the U.S. - Mexican war of 1846 - 1848. It was a controversial war that heightened the conflict between North and South. The underlying cause was the movement of Americans into the Far West. As Americans moved west, their land claims conflicted with those of Mexico. Following the battle of San Jacinto, which ended the Texas war for independence from Mexico, Mexican General and President Santa Anna had signed the "Treaties of Velasco," (in the town of Velasco, at the mouth of the Brazos River). In the eyes of Texans, those treaties recognized the new Republic's independence from Mexico and established the Rio Grande River as the western boundary of their new country. When the U.S. later annexed Texas, it too, claimed that boundary. Mexico, on the other hand, insisted that the boundary was the Nueces River. 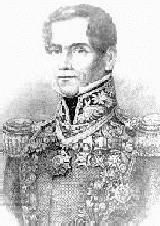 In spite of the fact that Santa Anna had signed the treaties, Mexico refused to recognize them. She later warned the United States that annexation of Texas would be seen as a declaration of war and did indeed, issue that declaration when Texas was annexed in 1845. Mexico did not, however, provoke war. The United States did. The map shows the boundaries of Texas as understood by Texans in 1836 and by the United States when it annexed Texas in 1845. Now in the most aggressively expansionist phase of its history--commonly known as the period of "Manifest Destiny"--the United States fully intended to secure the region between the Nueces and Rio Grande for itself. It did not intend to stop there. President Polk and the Democratic Party had designs on Mexican territory all the way to the Pacific. Frustrated in his efforts to purchase Mexican territory, Polk dispatched General Zachary Taylor and U.S. Army troops to the Rio Grande. When informed of a skirmish between U.S. and Mexican forces on the northern bank of the Rio Grande--Polk sent a message to Congress that "Mexico has passed the boundary of the United States and shed American blood on American soil." Congress declared war against Mexico. It was, as noted, a controversial war. Supporters, primarily southerners, argued that the United States was destined to expand westward. They blamed Mexico for the hostilities because it had severed relations with the United States and threatened war. 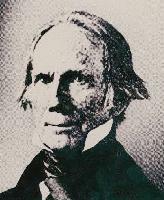 Two of American's most prominent politicians, Henry Clay and Daniel Webster denounced the war as a pretext for stealing land and as an unnecessary and offensive aggression. Abraham Lincoln, a young congressman from Illinois, labeled it an immoral war, blatantly proslavery and a threat to the nation's republican values. Northern opposition leaders denounced the war as an immoral land grab against a weak neighbor. The critics claimed that President Polk deliberately provoked Mexico into war by ordering American troops into disputed territory. They also argued that the conflict was an expansionist plan by southern slave owners intent on acquiring more land for cotton cultivation and more slave states. Mexico eventually sued for peace and "sold" the northern half of its country to the United States for $15 million. With Polk's 1844 settlement of the Oregon boundary dispute with Great Britain at the 49th parallel, the 1848 Treaty of Guadalupe Hidalgo, and the $10 million Gadsden Purchase in 1853 (see map, next panel), the United States consolidated its continental empire to the Pacific. Congress declared war and, despite much Northern opposition, supported the military operations. 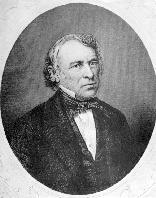 David Saville Muzzey's popular 1911 text "American History" explained the Mexican War to school children of the early twentieth century, told why the United States seized California in 1846, and how the U.S. ended the Texas-Mexico border dispute. The Treaty of Guadalupe-Hidalgo, which officially ended the war, was signed in 1848, just nine days after gold was discovered at Sutter's Mill. Dr. Muzzey's text also gave great insight into contemporary American thinking about "Manifest Destiny." This text, and its revised editions, was still in classroom use as late as the 1940's. by David Saville Muzzey, Ph.D.
Mexico refuses to recognize the Annexation of Texas. The annexation of Texas was a perfectly fair transaction. For nine years, since the victory of San Jacinto in 1836, Texas had been an independent republic, whose reconquest Mexico had not the slightest chance of effecting. In fact, at the very moment of annexation, the Mexican government, at the suggestion of England, had agreed to recognize the independence of Texas, on condition that the republic should not join itself to the United States. We were not taking Mexican territory, then, in annexing Texas. The new state had come into the Union claiming the Rio Grande as her southern and western boundary. By the terms of annexation all boundary disputes with Mexico were referred by Texas to the government of the United States. President Polk sent John Slidell of Louisiana to Mexico in the autumn of 1845 to adjust any differences over the Texan claims. But though Slidell labored for months to get a hearing, two successive presidents of revolution-torn Mexico refused to recognize him, and he was dismissed from the country in August, 1846. Taylor attacked on the Rio Grande. crossed the Rio Grande, ambushed a scouting force of 63 Americans, and killed or wounded 16 of them (April 24, 1846). The United States accepts War with Mexico. "We have tried every effort at reconciliation...But now, after reiterated menaces, Mexico has passed the boundary of the United States [the Rio Grande], has invaded our territory and shed American blood upon the American soil. She has proclaimed that hostilities have commenced, and that the two nations are at war. As war exists, and, notwithstanding all our efforts to avoid it, exists by the act of Mexico herself, we are called upon by every consideration of duty and patriotism to vindicate with decision the honor, the rights, and the interests of our country." The second basic cause of the war was the Texas War of Independence and the subsequent annexation of that area to the United States. Not all American westward migration was unwelcome. In the 1820's and 1830's, Mexico, newly independent from Spain, needed settlers in the under-populated northern parts of the country. An invitation was issued for people who would take an oath of allegiance to Mexico and convert to Catholicism, the state religion. Thousands of Americans took up the offer and moved, often with slaves, to the Mexican province of Texas. Soon however, many of the new "Texicans" or "Texians" were unhappy with the way the government in Mexico City tried to run the province. In 1835, Texas revolted, and after several bloody battles, the Mexican President, Santa Anna, was forced to sign the Treaty of Velasco in 1836 . This treaty gave Texas its independence, but many Mexicans refused to accept the legality of this document, as Santa Anna was a prisoner of the Texans at the time. The Republic of Texas and Mexico continued to engage in border fights and many people in the United States openly sympathized with the U.S.-born Texans in this conflict. As a result of the savage frontier fighting, the American public developed a very negative stereotype against the Mexican people and government. Partly due to the continued hostilities with Mexico, Texas decided to join with the United States, and on July 4, 1845, the annexation gained approval from the U.S. Congress. Another major factor was the American ambition, publicly stated by President Polk, of acquiring California, upon which it was believed France and Great Britain were casting covetous eyes. Despite the rupture of diplomatic relations between Mexico and the United States that followed congressional consent to the admission of Texas into the Union, President Polk sent John Slidell to Mexico to negotiate a settlement. Slidell was authorized to purchase California and New Mexico, part of which was claimed by Texas, and to offer the U.S. government’s assumption of liability for the claims of U.S. citizens in return for boundary adjustments. Early in May, 1845, American troops under Gen. Zachary Taylor had been stationed at the Sabine River preliminary to an advance to the Rio Grande, the southern boundary claimed by Texas. They advanced to Corpus Christi in July. In Mar., 1846, after the failure of Slidell’s mission, Taylor occupied Point Isabel, a town at the mouth of the Rio Grande. To the Mexicans, who claimed the Nueces River as the boundary, this was an act of aggression, and after some negotiations Gen. Mariano Arista ordered his troops to cross the Rio Grande. On Apr. 25 a clash between the two armies occurred, and Taylor reported to Washington that hostilities had begun.